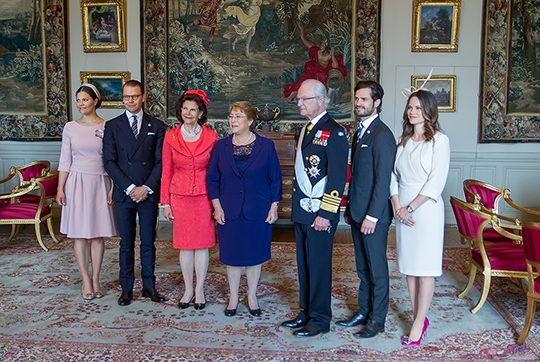 Two state visits are currently happening in Europe: the Swedish royals welcomed the Chilean president to Stockholm, while Grand Duke Henri and Grand Duchess Maria Teresa of Luxembourg are visiting Finland. Here's a look at some of the jewels we've seen during the diplomatic events. 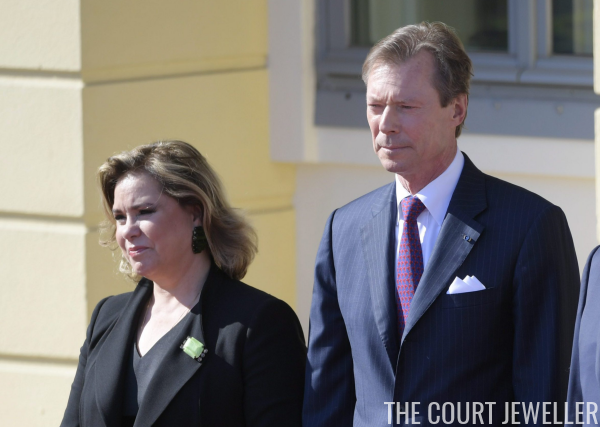 Grand Duchess Maria Teresa wore statement earrings and a green brooch for the welcome ceremonies in Helsinki on Tuesday. In Sweden, Queen Silvia wore pearls and Crown Princess Victoria wore a large floral brooch to welcome President Bachelet. 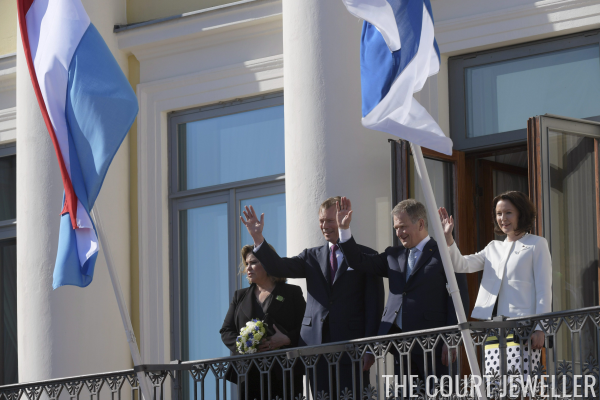 Princess Sofia also attended the welcome ceremony, though we didn't get a good look at her jewels. The real glitter, though, came out during the state banquets on Tuesday evening. Maria Teresa wore one of my favorite tiaras from the Nassau vaults: the Diamond Vine Leaves Tiara. New mothers Victoria and Sofia skipped the banquet in Sweden, but Queen Silvia brought out plenty of sparkle on her own. Her gala jewels included Queen Sofia's Tiara -- aka the "Nine-Prong."